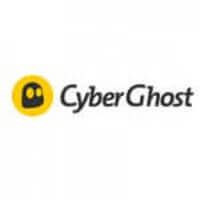 Whether you want to use torrents safely, bypass geo-restrictions, surf anonymously, unblock Hulu or just enjoy top-notch online security, you can rely on StrongVPN, one of the most popular VPN services in America and beyond. 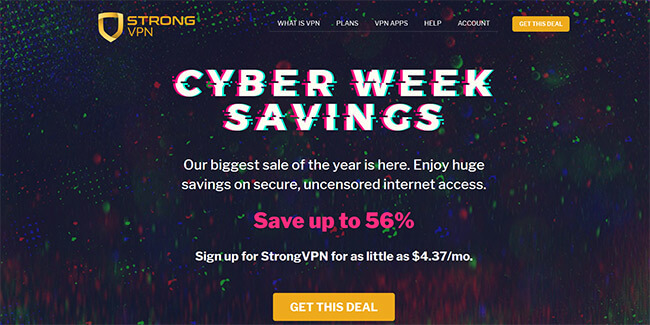 Its subscriptions are not always affordable, but with the special Black Friday deal StrongVPN has prepared for its users, the price is no longer a problem. We would just like to remind you that all StrongVPN plans come with a 30-day money-back guarantee, so even if you do not end up loving StrongVPN as much as you expected, you never have to lose any hard-earned cash.